"I wanted to bring one of my heroes, arguably the greatest soldier Scotland has ever produced, to a new generation. 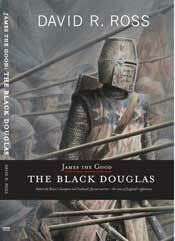 Known as James the Good in Scotland, and the Black Douglas in England, this book was a joy to write. His is an extra-ordinary story. His relationship with Robert the Bruce began at the Arrickstane at the head of Annandale in southern Scotland in 1306, and ended in Andulucia in southern Spain in 1330, and is a story writers of fiction would find hard to emulate. This book boasts a colour picture section, and maps pinpointing where the major events of James' life took place. It tells of the battles he fought in, and how he almost captured two succesive kings of England. His name so terrified the invaders of Scotland that mothers would use his name to chide their children, threatening that "the Black Douglas would get them!" It contains fifty-one short chapters, each giving a site pertinent in Scotland where one can see traces of her history. On the Trail of William Wallace tells the historical story of Wallace, but it is interspersed with details of what there is to see today connected with the national hero of Scotland. For instance, the spot where Wallace slew the English sheriff of Lanark is now the town's bowling green! It contains maps, sketches, and old prints depicting places associated with the life of Wallace. 170 pages. On the Trail of Robert the Bruce tells the story of the hero-king of Scots, and visits the places associated with the life of this remarkable man. We visit Bannockburn, the scene of his great victory over the invading English in 1314, to the lesser known scenes of his great battles deep in English territory. 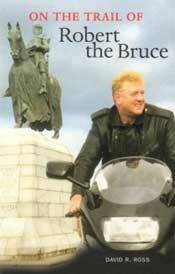 The book also tells us the details of the "re-discovering" of Bruce's tomb in the 1800s. It contains maps, sketches and old prints depicting places associated with his life. 182 pages. 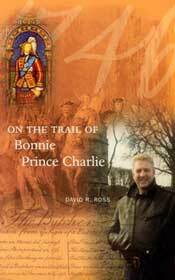 On the Trail of Bonnie Prince Charlie tells the story of his time in Scotland and England during 1745/46. We follow the route he took from Glenfinnan, south to Derby, north again to the terrible defeat at Culloden, and the book tells us what there is in the landscape today that Charles was familiar with . Many of the places he stayed in are still in existence. It contains maps, sketches and old prints. 158 pages. 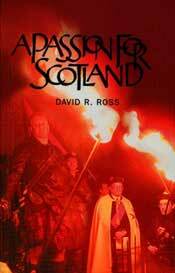 A Passion for Scotland is a journey through some loose ends of Scottish history. It covers stories like the whereabouts of the sword, ring and dagger taken from the body of James IV of Scotland at the battle of Flodden in 1513. 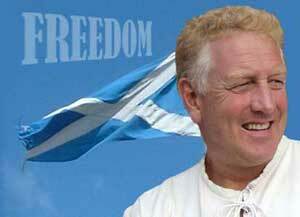 It concentrates on little tales of insurrection in Scotland against the British state. It also reveals the last resting places of all the royals of Scotland, scattered over the landscape as they are. 144 pages. 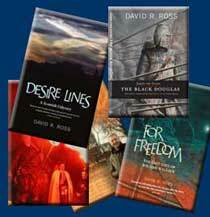 Desire Lines is a journey through the landscape of Scotland and her history. It tells stories, some old some new, some famous and some little known, on its journey. A guidebook that visitors to Scotland will appreciate, and a book for Scots too, to give an insight into what actually lies around them in the landscape. Stories from Roman times in Scotland, to modern murder mysteries. It takes us through each area and every type of terrain, unfolding the delight that is Scotland in a sometimes humorous way. 450 pages. 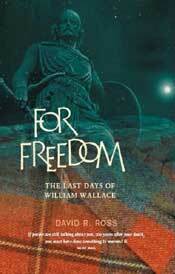 For Freedom tells the story of the last month of the life of Scotland's hero, William Wallace. We are taken through the horror of his last hours and his hideous murder. This is a book of two halfs. 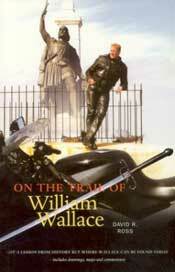 The second six chapters tell of how Wallace is perceived by the people of Scotland 700 years after the fact. 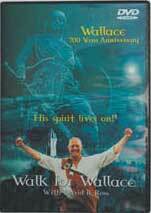 It tells the story of David's own tribute to Wallace-his 450 mile walk to London to highlight the life of Wallace himself. We are also taken on the route that Wallace was dragged to his death, with details of what survives there today. Colour photographs. 168 pages. Please contact ziggy.wilson@blueyonder.co.uk for any book sales.